When you come to a city as vibrant as NYC, you have a pretty endless supply of options on what to do and see. You could spend weeks in a single neighborhood and still not see everything! Since moving to Boston 5 years ago, I’ve probably made 4-5 weekend trips out to the concrete jungle, so I figured I’d make a roundup of my favorite places to stay, eat and experience in the city – from the touristy (but worth it), to hidden local gems. For better or for worse, I’ve started to realize that I’m getting a little addicted to just gazing out at new views – be it skylines, beaches or tree tops. There’s something to be said for the endless possibilities that come with new horizons. That said, you can imagine why I fell for these floor-to-ceiling windows at the Hyatt Centric in Times Square, with their front-and-center views of Manhattan! 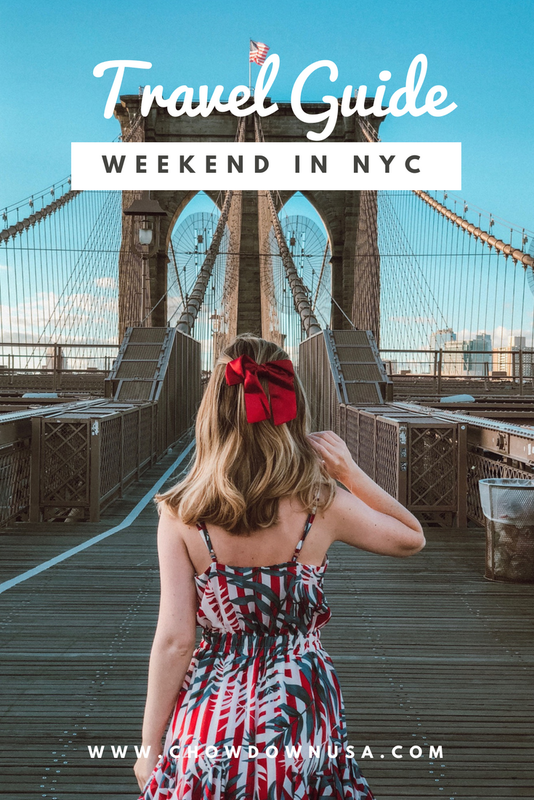 Locals may shy away from Times Square since it’s deemed touristy, but when you’re not a local sometimes you just have to see and experience those popular areas for yourself! This central location was honestly bustling with so much energy, it’s impossible not to have fun and get excited here. 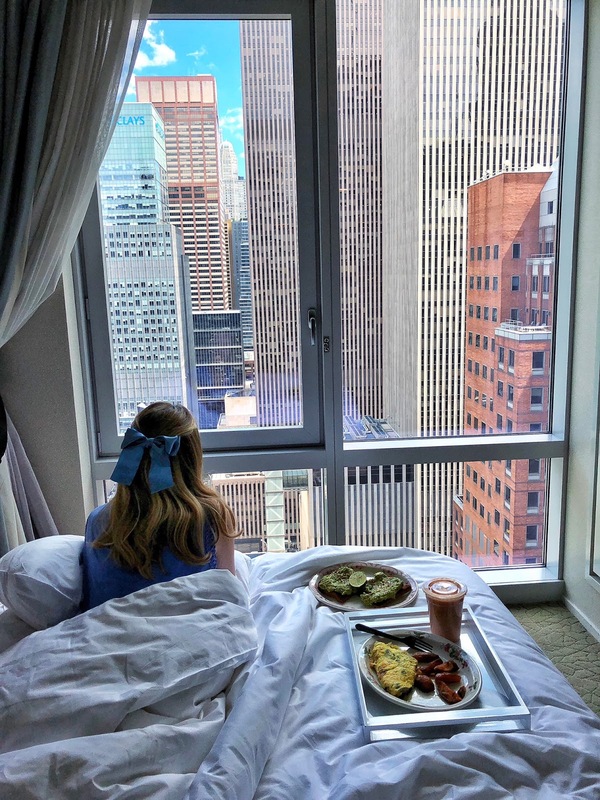 I can’t even begin to tell you how delicious their room service food was too – it was definitely gourmet, on par with the great NYC restaurants this city is infamous for. Not gonna lie, it took us way too long to figure out what this sign said. But we were smitten with it once it clicked. Clearly they put some thought into the interior design of the room which is so important. Little touches like this that give you a smile, just make you feel a little more at home. As someone who loves to travel, this one speaks to me and I’d be lying if I said I didn’t want to take it home! Someone tell me if you see this in a Target or something somewhere! The Hyatt Centric Times Square is also home to the highest rooftop bar in Times Square. Bar 54 is named for the floor it’s on in the hotel, and offers epic views of lower Manhattan and the Chrysler building! Pro tip: the wait to get up here can be long, but you get to completely skip it if you’re a hotel guest! They also have a chic restaurant on the 1st floor called T45 Restaurant, which is a fun bistro serving globally inspired shareable plates. Don’t mind me, just searching for some good H&M deals while I’m up here. How inviting are these yellow pillows? I wanted to just curl up and take a nap! The Brooklyn Bridge is more than a great photo op (though it definitely is that). There really is a buzz of energy in NYC, whether it’s from the multitude of people in a small area or centuries of incredible history and stories here. 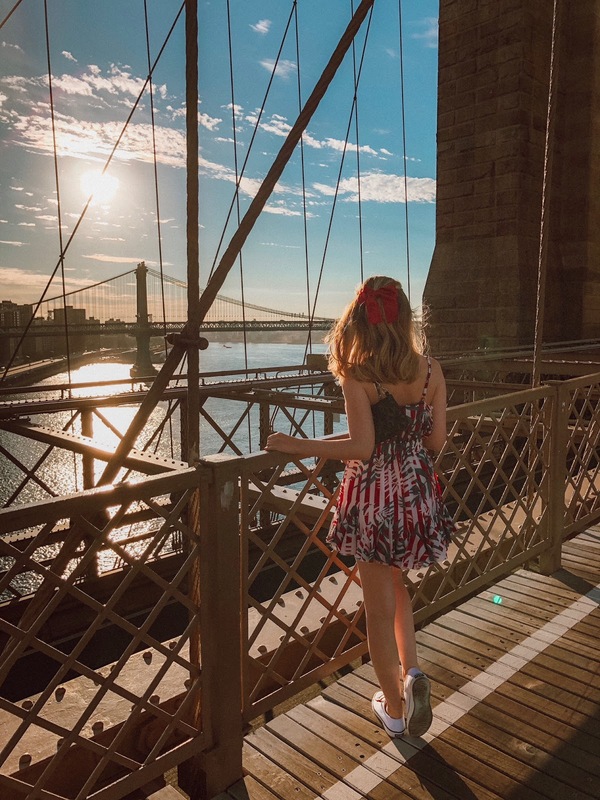 This bridge is a great way to feel that energy while stepping out of the heart of the city itself, not to mention getting a great view of that iconic skyline. Plus, when you get to the other side you’re in Dumbo, Brooklyn which is the next NYC area I want to explore! Pro tip: get there early to avoid the crowds. We got up at 5 AM to head over, and there were still some joggers out and about on a Saturday morning. I got to attend a kickoff party at the Rosé Mansion before attending the Her Conference on my recently NYC trip. This is the cutest pop-up in Manhattan right now, with tons of picturesque rosé-themed rooms and interesting wine facts (not to mention a tasting)! Hold my calls, it’s rosé o’clock. Concrete jungle where rosé dreams are made of. You’ll see the full post on this soon, but I came out to NYC to attend Her Conference. This is a super inspiring event geared towards women interested in getting ahead in business, especially as entrepreneurs and in the media / marketing space. Being a blogger and someone who used to be in marketing, this was a really exciting event to cover. I came away energized, inspired, and full of fresh perspective and advice. I even got to meet girlboss Mae Karwowski, CEO of Obviously (who I worked with on my Uniqlo Campaign)! Bottom line: don’t forget that New York is also a hotspot for thought leaders, and attending a conference here is a great way to network and expand your horizons. Is Central Park touristy? Yes. But is it also still beautiful, iconic, great for people watching, and a brief nature respite from the big apple skyscrapers? Also yes. Bop around, take a boat out, go to the zoo, reenact your favorite sappy movie moments, have a picnic. So many possibilities here! Escape the heat in the summer or the snow in the winter by popping into the MET museum. It’s huge, so don’t expect to see it all in one afternoon, but it’s fun to bop around and see some exhibits! On a clear day you’ll get a great bird’s eye view of Manhattan and Central Park at the Top of the Rock. The Milk Bar Store has everything from birthday cake shakes to cake truffles. Beyoglu is a cute Turkish restaurant near the MET Museum, which is filled with super fresh, healthy dishes that are absolutely packed with flavor. Secret diners, intricate presentations, phenomenal flavors and creative textures – this is what great restaurants like Aldea are made of. In a city like NYC, a certain level of expertise is expected in fine dining, and Aldea absolutely steps up to the plate – with a Michelin Star to show for it! 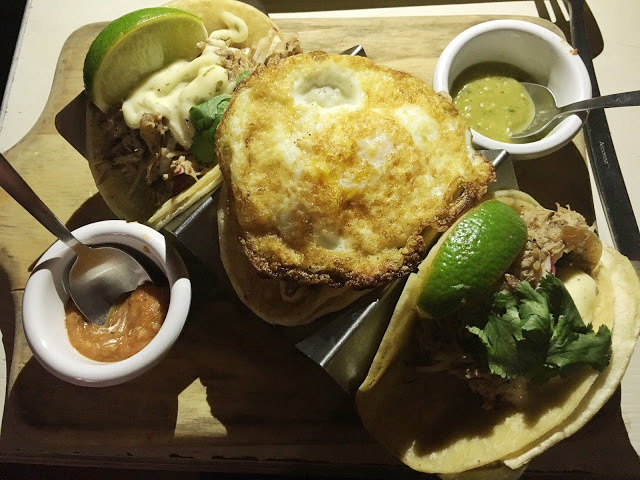 Tanner Smith’s is a fun restaurant & bar. I’m a fan because they didn’t bat an eye when I asked for an egg on my tacos. For a cozy Italian meal in the heart of Manhattan on Park Ave, Bread & Tulips is the perfect spot. They have outdoor seating which is perfect for people watching, plus they offer gluten-free penne pasta. Bea is a fun, trendy brunch spot in Hell’s Kitchen. They offer live jazz and some of the best small plates I’ve had! Each dish is $10, or you can have unlimited plates brought out for $45. What’s your favorite thing to do in NYC?